Directions: From Wilcox, Arizona, drive south on AZ-186. Turn right for Twin Lakes Golf Course at Rex Allen Jr. Drive. At the end of Rex Allen Jr. Drive is Cochise Lake. 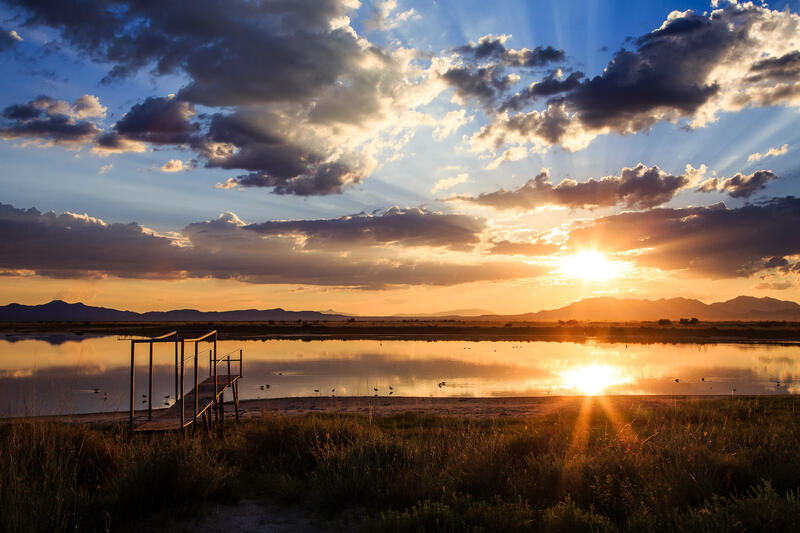 Many people think of southern Arizona as nothing but dry desert, but hidden in the farming town of Willcox is Cochise Lake, a great location for bird and landscape photography. Many species of waterfowl, shore birds, and water birds migrate through southern Arizona, using places like Cochise Lake for roosting, nesting, and feeding. 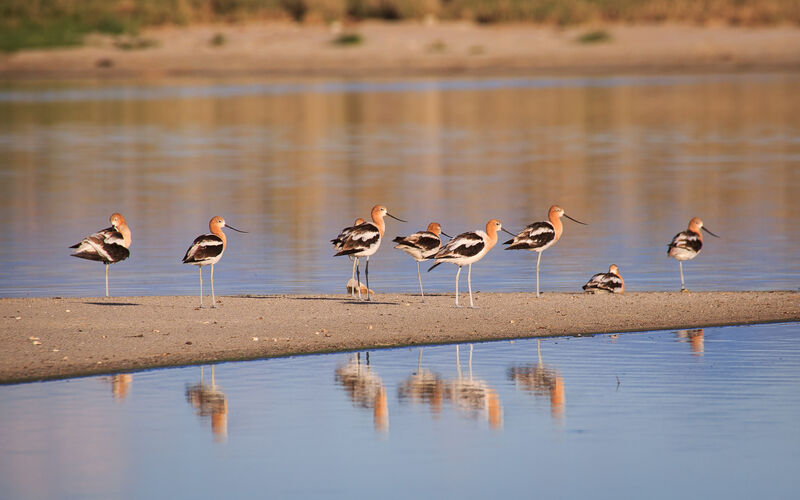 Bring a telephoto lens for the birds and a standard zoom lens with a tripod for for some sunset shots. 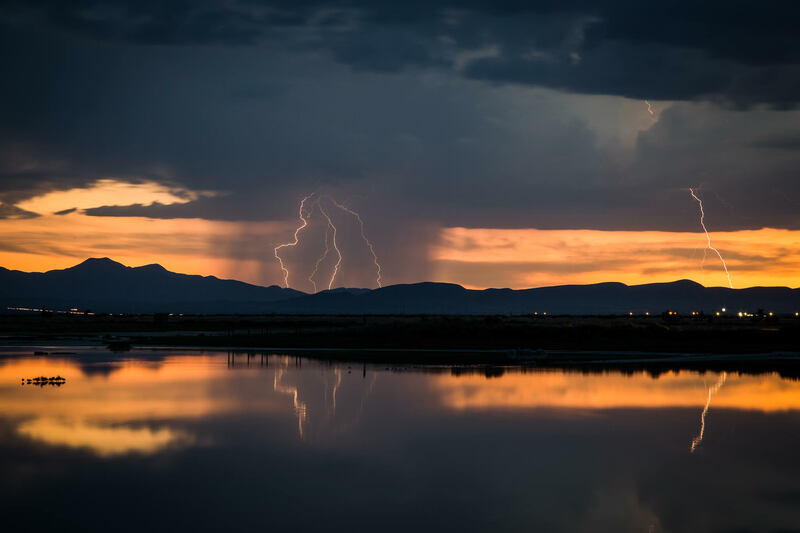 Visit during monsoon season (July thru September) for some lightning shots. Do not try this, though, if the storm is too close. For lightning photos, mount your camera on a tripod, point your camera in the direction of the lightning, and use a shutter speed of 30 seconds.